Filmmaker Paul Feig (Bridesmaids, Spy) will deliver the commencement address, and producer Susan Downey (Sherlock Holmes, The Judge) will receive the prestigious Mary Pickford Alumni Award at the 2016 USC School of Cinematic Arts (SCA) graduation ceremony Friday, May 13 at the Shrine Auditorium, it was announced by Dean Elizabeth M. Daley. Feig (84’) and Downey (95’) each graduated from the School of Cinematic Arts at USC with a Bachelor of Arts degree in film production. As Commencement Speaker, Feig joins a recent list of celebrated entertainment figures including Jay Roach, Jim Gianopulos, Stacey Sher, Barry Meyer, Sumner Redstone, Jeffrey Katzenberg and Laura Ziskin. Created in 1995, in partnership with the Mary Pickford Foundation, the Mary Pickford Alumni Awards pays tribute to women and men of USC whose extraordinary achievements bring special distinction to the School and to the industry. Past recipients include: Kevin Feige, William Fraker, Brian Grazer, Conrad L. Hall, Ray Harryhausen, Alan Ladd Jr., Jon Laudau, Michelle Manning, Walter Murch, Shonda Rhimes, Jay Roach, Gary Rydstrom, Stacey Sher, Bryan Singer, John Singleton, Lee Unkrich, Matthew Weiner, David L. Wolper, Robert Zemeckis, Laura Ziskin and last year’s recipient, Melissa Rosenberg. Feig, a graduate of the University of Southern California School of Cinematic Arts, is an award-winning writer, producer, and director of film and television. His upcoming reboot of Ghostbusters, to be released July 2016, will be his fourth feature collaboration with actress Melissa McCarthy, who together have grossed over $750 million worldwide through their previous three releases, including the Oscar–nominated Bridesmaids. After graduating USC, where he was a winner of the School’s Jack Oakie Award for Comedy in Film, Feig worked as a script reader for Taxi Driver producer Michael Phillips until he went on “The $25,000 Pyramid” and won $29,000. “I always was an over-achiever,” he jokes. Feig’s early stand-up career led to success as a character actor on such shows as Dirty Dancing, The Jackie Thomas Show, and Sabrina the Teenage Witch. He soon broke out as a television writer and director as creator of the hit show Freaks and Geeks, earning his first two Emmy nominations for his outstanding writing on the pilot and finale, the latter of which he also directed. His prolific career as a TV comedy director earned him two more Emmy nominations for the Office, for which he also won the DGA award. Feig has also directed episodes of Arrested Development, 30 Rock, Mad Men, and Nurse Jackie, and recently returned to television as creator and executive producer of the critically acclaimed YAHOO! Series Other Space. 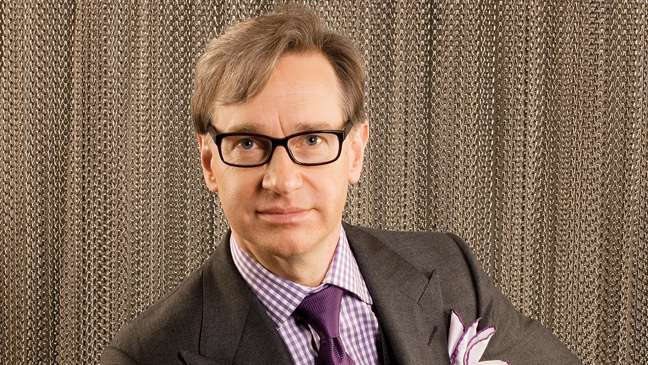 Feig is also the best-selling author of Superstud, or How I Became a 24-Year-Old-Virgin, as well as Kick Me: Adventures in Adolescence, and is “The Best Dressed Man in Hollywood,” according to Esquire’s Winter 2012 Black Book edition. Downey is a prolific film producer who has collaborated with the industry’s most renowned talents on a diverse list of films, encompassing action adventures, dramas, comedies, and horror thrillers. She is a partner in Team Downey, the film and television production company she formed with her husband Robert Downey Jr.
Downey most recently produced The Judge, starring Robert Downey Jr., Robert Duvall, and Vera Farmiga, directed by David Dobkin. This drama marked the first Team Downey film produced under the banner’s first-look deal with Warner Bros. Downey produced Guy Ritchie’s 2009 action adventure Sherlock Holmes, starring Robert Downey Jr. and Jude Law, which took in more than $524 million at the global box office. Two years later, Downey produced the equally successful sequel Sherlock Holmes: A Game of Shadows, which earned more than $545 million worldwide. Downey served as an executive producer on Jaume Collet-Serra’s thriller Unknown, starring Liam Neeson; Todd Phillips’ hit comedy Due Date, starring Robert Downey Jr. and Zach Galifianakis; and the blockbuster Iron Man 2, directed by Jon Favreau and starring Robert Downey Jr., Gwyneth Paltrow and Scarlett Johansson. Downey earlier held the dual posts of Co-President of Dark Castle Entertainment and Executive Vice President of Production at Silver Pictures. During her tenure, she produced or executive produced such diverse films as the Hughes brothers’ The Book of Eli,; the horror thriller Orphan; Guy Ritchie’s RocknRolla; Neil Jordan’s The Brave One; Shane Black’s Kiss Kiss, Bang Bang; and the horror hits House of Wax and Gothika. She earlier co-produced Cradle 2 the Grave and Ghost Ship which marked her producing debut.